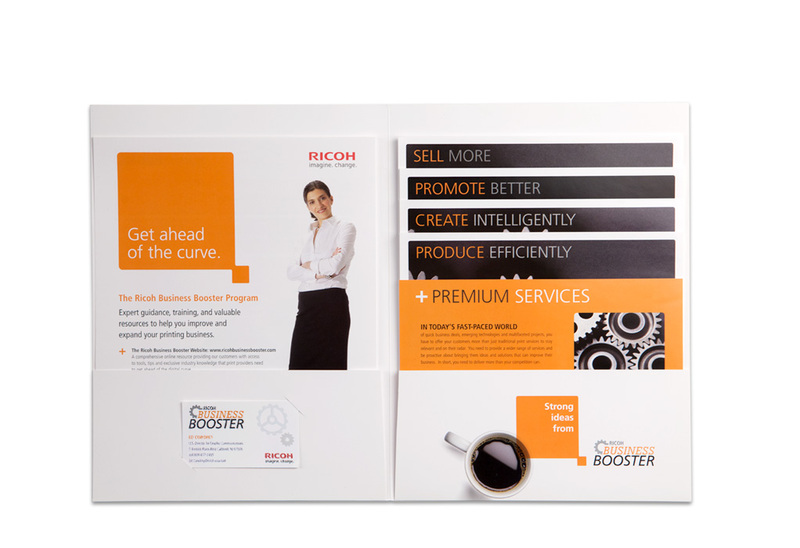 Transform a business development program into a complete brand experience and competitive point of difference for Ricoh’s Production Print Group. 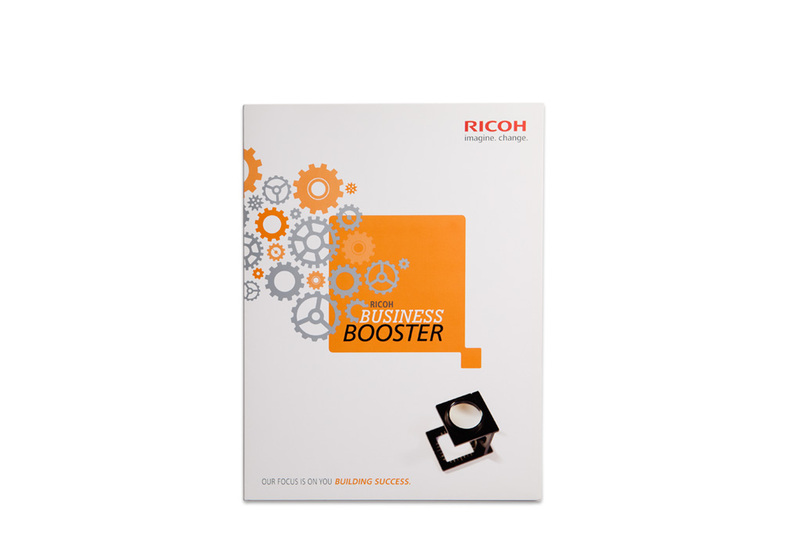 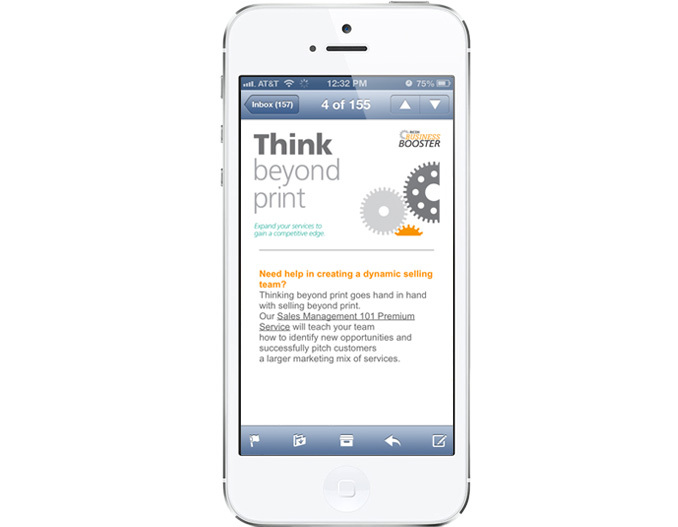 To clearly define Ricoh Business Booster, we first crafted the brand promise and restructured the program to establish a solid communication platform. 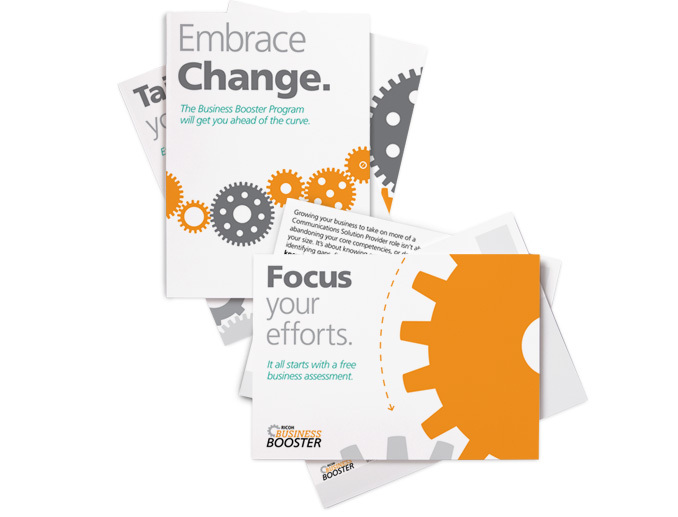 With these strategic elements in place, our creative team developed a new program logo and designed a brand identity system with modern, motion-themed graphics to reflect the program’s forward-thinking approach. 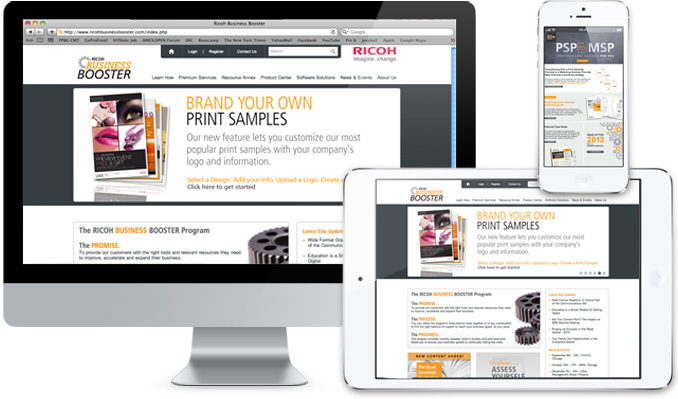 We authored new sales materials, created a program welcome kit, and built the ricohbusinessbooster.com website to serve as the program’s hub with original content and an enterprise-level back-end system. 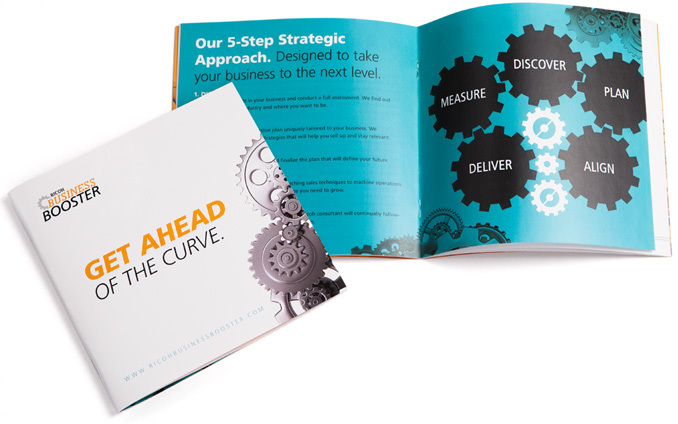 Lastly, we leveraged our unique industry knowledge to develop and execute a yearlong strategic communication plan to keep both Ricoh and its customers ahead of the curve. 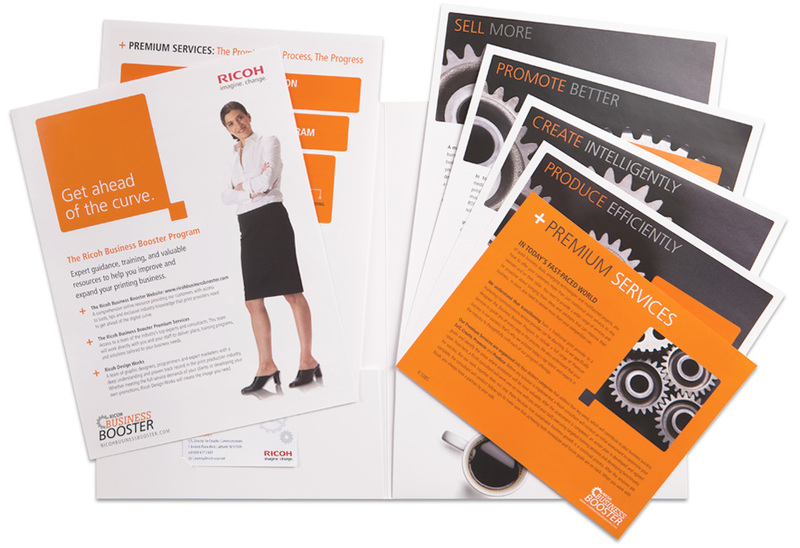 Brand identity, positioning, design, copy, customer retention program, collateral materials and website development.